The title of web pages visited by the user on the target device is also saved for viewing convenience. This information is stored in the user panel and can be accessed online from any device with Internet connection. Saving the browsing history in Hoverwatch software is enabled by default, so there is no need to change any additional settings to make web history log work. 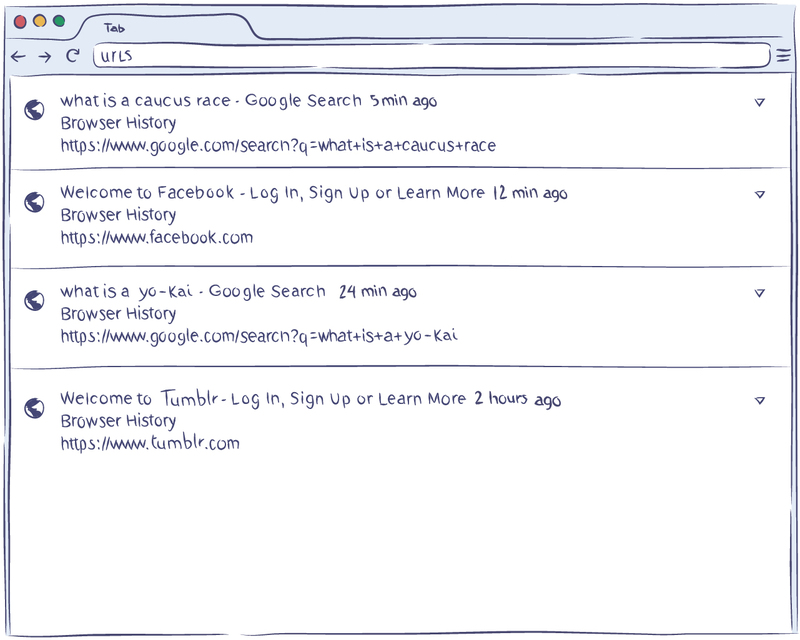 This history tracker saves the list of websites that were visited not only when using default Android web browser but also the ones visited using Google Chrome. There is no need to obtain the root on the target device to save this information using Android smartphone tracker. It’s not a secret that the Internet is filled with websites that are not appropriate for children and teenagers. The age restrictions on these websites are often ignored. If you want to make sure your kids are safe, this browsing history feature is perfect for you. Using this internet history tracker you will receive the address of every website visited by your child as well as the exact time of their visit. Employees can also get distracted or view NSFW material at work when you’re not looking, so having this app is definitely a necessity of our times.